Which names do you know? A Marine veteran jailed in Mexico on weapons charges for allegedly bringing guns across the border said he never intended to leave the country but missed an exit when heading to meet friends in a border town. Sgt. Andrew Tahmooressi, 25, said he was headed to dinner in San Ysidro (near San Diego) on March 31 when he mistakenly wound up at a border crossing point in Tijuana, The San Diego Union-Tribune reported Sunday. He said Mexican authorities found three guns inside the truck he had recently driven from Florida to make a new start in San Diego. He was jailed ON MARCH 31, and is now being held in Tijuana’s La Mesa Penitentiary without bail. Tahmooressi’s evidentiary hearing is scheduled for May 28. There is no information on when his trial might be held. [A day or two after Tahmooressi was arrested] Republican Rep. Duncan Hunter wrote a letter asking Secretary of State John Kerry to secure Tahmooressi’s release. State Department officials said they were aware of an arrest of a U.S. citizen in Mexico, but they do not comment on arrests of private individuals without the person’s permission. Similar cases have occurred before. In 2008, an active-duty Army soldier was jailed in Ciudad Juarez, across from El Paso, Texas, for driving into Mexico with guns, knives and ammunition. In 1999, a Marine was detained in Tijuana for two weeks after driving into Mexico with guns, the newspaper reported. If Tahmooressi is convicted, he faces six to 21 years in a Mexican prison, his lawyers said, adding that alternatively the case could be dropped if the Mexican attorney general’s office in Mexico City requests dismissal. 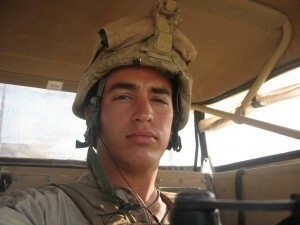 Tahmooressi served four years in the Marines, including two tours in Afghanistan. He was honorably discharged in November 2012.
a) How many news stories are listed? How many follow-up stories has the AP or any major news outlet (apart from FoxNews) done on this story after the AP’s initial May 4 story? b) List the names of the news outlets who have done stories on Andrew Tahmooressi (apart from Fox News and Greta van Susteren). 3. What type of media bias is the virtual blackout on Tahmooressi’s plight an example of? follow-up stories – answers vary: none to not very many. b) news outlets with stories on Andrew Tahmooressi (apart from Fox News and Greta van Susteren): Latin Post, The Blaze, CBS Local, one Los Angeles Times and one CNN story and some local TV affiliates. Is the U.S. government doing anything to help Tahmooressi? The AP reported, “State Department officials said they were aware of an arrest of a U.S. citizen in Mexico, they do not comment on arrests of private individuals without the person’s permission.” Has the State Department sent anyone to assist Tahmooressi? What is the protocol? If an American citizen, (who is also an honorably discharged U.S. military veteran), appears to have been wrongly imprisoned by a U.S. ally and is asking for help, what is U.S. government procedure for aiding such a case? Has anyone asked President Obama about this directly during a press briefing? If so, why not? What, if anything has Secretary of State John Kerry done in response to Rep. Duncan Hunter letter asking Secretary Kerry to secure Tahmooressi’s release? No other major media outlet appears to be conducting any investigative reporting on this story.